We began our lesson by looking at a bunch of toys. 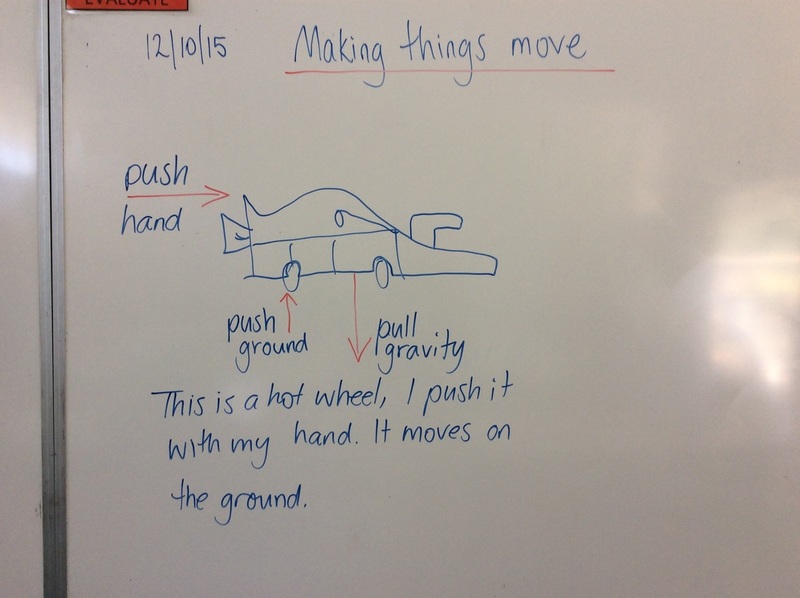 We talked about how we used them and what we could do to make them move or change shape. We noticed that all of the toys required a pull or a push to move them or change their shape. Pushes and pulls are forces. We were even clever enough to identify that gravity was a pull force and it had a part to play as well. 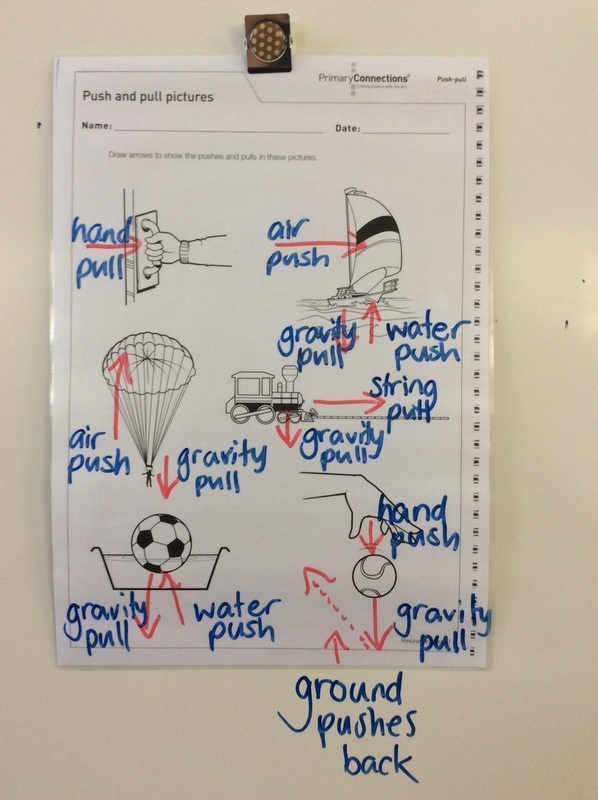 We looked at some pictures of toys and did our first (of many) force-arrow diagrams to show which way we think the pulls and pushes are going. 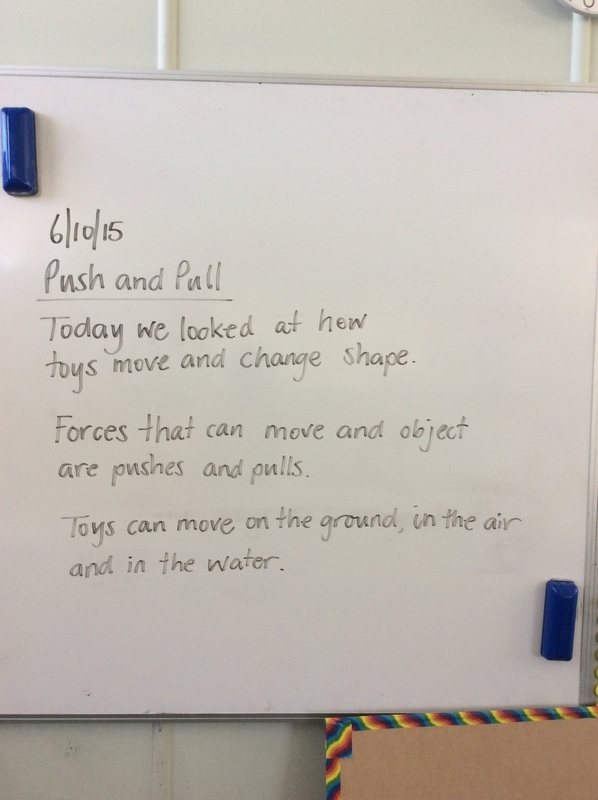 You will begin our new unit, Push Pull, in your science journal this week. It is important to record what we do, explore and learn each week so we can look back on it when we need to. You will use your journal to record observations, ideas and thoughts about our science activities. Scientists use journals, and we are all scientists. Why do we use a word wall? We use a word wall to record words we know or learn about a topic. We display the word wall in the classroom so that we can look up words we are learning about and see how they are spelt. What does a word wall include? A word wall includes a topic title or picture and words which we have seen or heard about the topic. Why do we use a table? We use a table to organise information so that we can understand it more easily. What does a table include? A table includes a title, columns with headings and information organised under each heading.